Liverpool Neighborhood: Located in a desirable wooded setting and centrally located to schools, parks, shopping, and major highways. 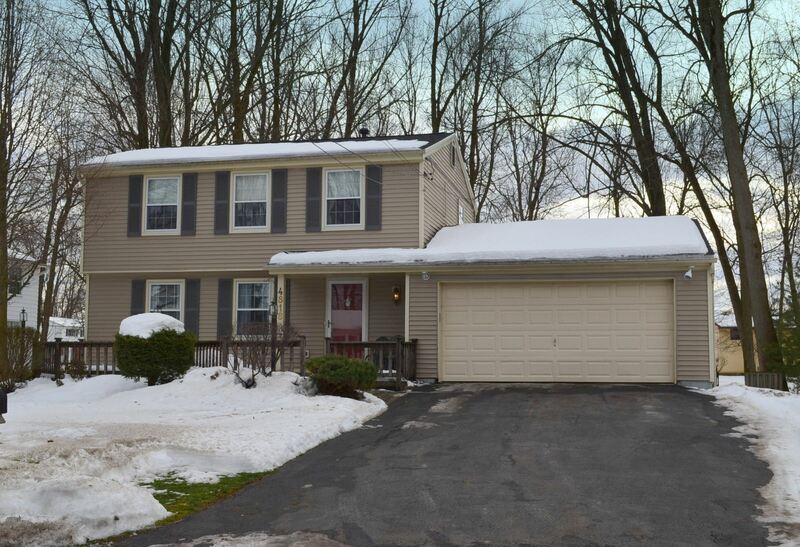 Interior Features: This fantastic Colonial features 3 bedrooms, a large living room, an updated eat-in kitchen with new floors, cabinets, and counter tops, a formal dining room with hardwood floors, a spacious family room with a gas fireplace, and 2.5 baths. Exterior Features: The exterior provides a deck, a 2 car garage, and a private partially fenced yard.